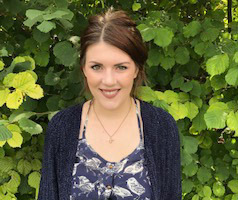 Recently described by a colleague as being someone ‘with leaves in her hair and wood in her veins’, Sarah is an experienced Primary and Early Years teacher, Forest School trainer and lifelong lover of trees. Her daughters have grown up with trips to the woods, camping holidays, hunting for mini beasts and plenty of mud. She is now enjoying the delights of grandparenthood whilst sharing her enthusiasm for learning through nature with people of all ages. Prior to setting up Where The Fruit Is, Sarah was part of the Oxfordshire Forest School Service and the Oxfordshire Early Years Team. Latterly she was a Programme Tutor and lead Forest School Trainer at Hill End Centre. Sarah has supported many settings to bring the transformative, holistic approach of Forest School to their learners. 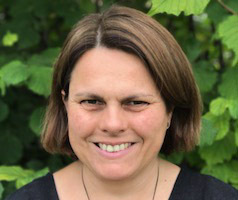 As a member of the GB Forest School Trainer’s Network and qualifications working group Sarah was involved in the revision of the OCNWM suite of Forest School qualifications and has become one of the first trainers to be endorsed by the Forest School Association. 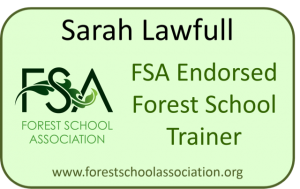 In January 2018 Sarah became a Director of the FSA and is committed to promoting and supporting Forest School locally and nationally. Her voluntary work with teenagers in church youth groups over the last thirty years, coupled with her experience of leading long term Forest School programmes with young people on the Autism Spectrum, convinced her that nature connection and a sense of belonging are needed to stem the tide of isolation, self harm, and hopelessness affecting a rising number of teenagers. From these seeds ‘Where The Fruit Is’ has grown. Vaughn is often to be seen running or walking on the Berkshire Downs with his canine sidekicks, Neville and Jumble. A consulting structural engineer, with his own thriving consultancy practice, Vaughn has been instrumental in setting up this exciting new venture. Investing his time, love and business acumen to ensure Where The Fruit Is has a sound back up team. 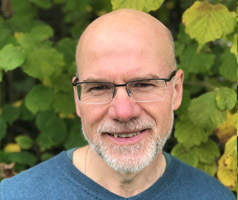 Married to Sarah, Vaughn has a long history of involvement with youth work, passionately believing that young people have much to offer if they are given a chance. For many years he was a stalwart trustee of the Didcot Train Youth Project and has led youth groups since 1993 in his home. 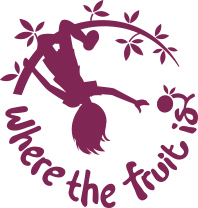 Together with Sarah he is determined to make a difference in the lives of isolated teenagers supporting the work of Where The Fruit Is to provide a nurturing community along with purposeful work and training opportunities. Through his engineering consultancy he has provided work experiences for several young people and mentored many others. Rowan, lover of dachshunds, producer of delicious cakes and keen gardener. She has a keen eye for design, loves writing and has been fascinated by insects ever since she could head out in search of them. Daughter of Sarah and Vaughn, she is busy parenting her own small, feisty daughters who both relish being outdoors exploring and will feature in many of our media posts. Primrose who climbs and hangs upside down at every opportunity, is the inspiration for our beautiful logo, created by our talented friend Rachel. Olive, developer of the woodland bottom shuffle and great explorer, will be a regular member of the family Forest School sessions. We are delighted that Rowan, who has set up her own burgeoning business, is bringing her organisational prowess and great communication skills to the team.